Been a while since I posted a new thread here. 2015 looks to be a promising year with some vintage genetics coming into play here within Kak's Kreations! I ll be posting and sharing new notes and photos in this thread while we focus at working out of our base here at Green Passion. We will also be looking back now and then as well for reminiscence and more. This thread will be the an evolving one to say the least. Many of the images you ll find here in this thread and those added in due time, will be used as focal points for further projections and testing.. Please do enjoy this journey- it will be a long strange one I forewarn you..
Get ready for some Medical Marijuana of the finest types and blends ready to treat and heal all health issues, both body and mind! In other words, their will be something here for everyone. Even the recreational type of people will find themselves at home here and welcomed as well. Edited by xxPeacePipexx, 15 January 2015 - 06:34 PM. Summary - To encapsulate this lengthy smoke review/report , I will simply say this is some sweet head candy with a little body ! The flavor of this one matches up exactly to the smells. No real real need for a cure and a long term one might just inhibit the flavor and smell even though a slight one will only enhance. Once you fire this up you are finally sipping on the grapefruit tropical fruit juice blend with an occasional odd cleaner note as if your glass had residue of a cleaning chemical . The same can be said when one dry hits this herb, be it in a pipe or hand rolled one. This tastes excellent too all the way to the bottom of a bowl or joint and some people will wonder if they are really smoking cannabis when all is said and done. The smoke is a smooth operator and often I find myself turning blue in the face due to excessively holding my breath until I forget to exhale. I have not held onto smoke like this since I was a teenager lol. I know I don't need to do this, but it is one of those types that allows such, so why not lol ! You could smoke this one for hours while never finding your nose or throat saying opposite or revolting but I do not think even I could smoke it that long continuously anyway. After just a few tokes your in for a very strong high and its obvious by the internal heat your feeling by now around and inside your head . It is as if it is steam rushing out from internal pressure with increasing pressure buildup with every hit. The thermometer jumps a degree with each hit until the body regulates itself in compensation for this , it is that old weed fever we signify with select potent cannabis strains. I usually feel need by now to shed a layer or two of clothing while I struggle to ignore the heat and rush taking place. This princess kicks in fast even though she shares the trait of being a creeper too thanks to the recessive side of her Indica heritage. Once you get past this initial rush in the head it begins to really put your perspective into a new light. I think it is better than any antidepressant in this manner and this has been noted by others too. Happy vibes become the norm as this one pushes forward with intense altering of the minds view regardless of previous mind-setting. Nothing matters now that this one has begun to radiate into the deepest of your cortex. (You can use this for creativity enhancement but only if used moderately that is) Smoke enough and that 20% Indica side will dumb you down a little or a lot, if you have no tolerance to this attribute of Indica that is. For someone like me it is just enough to find some body relief and it helps balance the rush of the Sativa energy while offering the I don't care effect of say Xanax as example. If you smoke more than a few tokes you'll soon realize this weed feels like it has no ceiling and it doesn't by the way. The 20% Indica side might be the only heavy thing holding down your body at this point keeping your mind somewhat attached.. I feel the Indica at this point more in the legs like a set of exercise leg weights have been added ,even though I can still run like Forrest in both body and mind. It is just enough to feel the body relax without feeling that old tense feeling many Sativas are known for due to their energy levels being so high in frequency of effect. The Indica effects felt later with this one is a familiar one of the Affy origins and you know it right away once it sneaks past your mind if your familiar with the Affy.. The mind usually does not notice this initially due that intense cerebral high taking over to the core. By this point you may have finished the joint, but chances are you have not though and it is either on the floor or still stuck between your fingers. The effects are still creeping on by now (20 mins in)and they continue for about 20 minutes more before they reach a plateau of sheer epic proportion compared to the initial effects felt so early in. The trip on this one lasts for hours and if you do take a journey with Jacks Princess be sure to let others know where your going lol , just in case they have to come rescue you. One can either sit and take the journey that's due, or you can easily find yourself moving and bustling all day long while never feeling worn down or dull. Choice is yours and yours alone. This mix has been ran and tested by several documented growers as well as shown by me in the later rounds of testing towards the later of 2014. I smoked this off the line and have smoked it for several months and the uber density of the flowers is intense. One of the hardest of buds I have grown and smoked in many years. I can only remember a few as comparable. The smell and tastes of the 6 plants I have partaken in ranges from pineapple to honey dew melon along with subtle notes relating to the Kush dom side of this mix. The smoke regardless of method of combustion is of the smoothest type. For a cigarette smoker it is like comparing non filters to super lights with a filter. The smoke is thick though but one cant really distinguish this until exhaling the cloud. It does not take many smooth tokes before the action begins. The flavors in joints have a unique twist in taste though and once half burned most change flavor like a gobstopper jawbreaker. This makes it hard to stop smoking too when one needs no more or is limiting the amount of intake. Temptations due to flavor come over one tempting you even though your nicely medicated by then feeling the wide range of effects this mix offers. 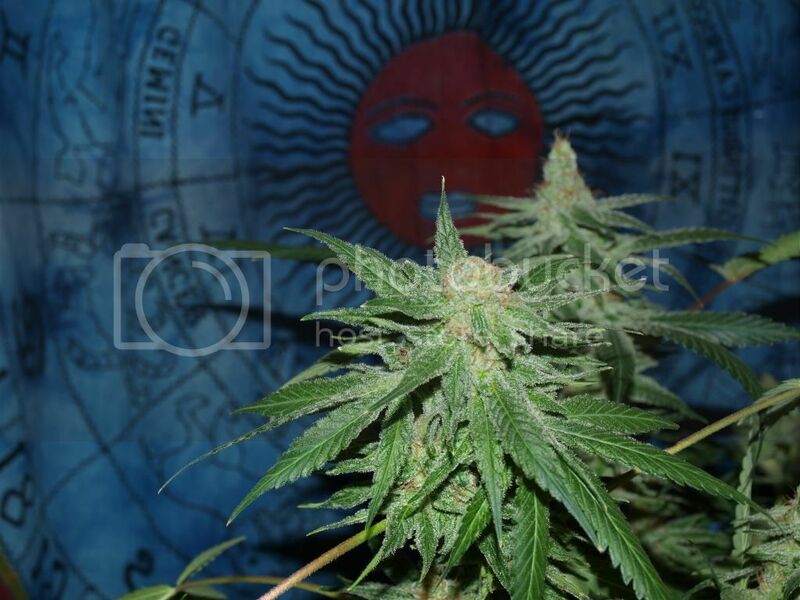 Like the majority of Kaks Kreations one will begin to sweat a little or a lot around a few tokes in and the 88/99 side of the legendary Cindy will awaken your senses to a new realm of consciousness indicating true grimm origins even though for some this could be scary lol. Once you adjust to the new helmet your wearing the Hot Damn Kush side begins to set in relieving you of physical pain and any muscle spasms as a powerful sedative and muscle relaxer that one can clearly sense if they need this relief. The observant smoker will notice this even if not in pain. The twist to this though is that Cindy side by now has one full of energy feeling plenty ready to take on the day and world. This is not something often found in a typical Kush mix. awesome thread peace pipe..... well all have to start filling it up here..
And it keeps getting more refined, cleaner, stronger not muddled and mundane..
With that said Big-E, I say cheers to many more! Kak's Kreations Seed galaxy sure is pretty isn't it. Like you said so many stars shining on. The supernovas will be most exciting as we rebuild and push choosen mixes and lines.. I had to grab a few other select stars as well to bring to our stable and harem.... The newest stud 88/99 really shines grimm on our Kreations. Figured I would bring some more grimm work to the table since we have been centering on the legacies and grail types of yesteryear and beyond ...American classics and more..
We will be running some new tests with this stud and it looks like the two dog star project will be collaborating with the whole of Kaks Kreations. This will be my secondary work of course but trust me- It will be worth the extra time on my part.. Many of the old tried and true that Pete mentioned are moving forward and we have added some more hand selected girls to this arsenal from directions abroad.. As the Brother Grimm came together I journeyed into the western seed direction while again hand selecting some of the finest from out west. Ranging from the Alien to the Fire Og. That trip was worth the risk and time and now we have even more of Americas best of cannabis building blocks and clone only girls..
Get ready to grow and smoke a little of it all ......We should have again -something for everyone..
Ok I can talk a lot about this plant and for hours too I could intricately get philosophical or even a bit abnormal and abstract, but all in all, this is one of my personal favorites here in the Two Dog Star galaxy! The plant "Space Lights" shown below is capable of some heavy celestial connections in time and interstellar travel straight through the cortex due to her rare chemotype. Also this plant is known to tweak cognitive awareness in small dosages but the larger the dose the larger the expansion of awareness becomes.. The most common question asked by the smoked out victim is, "what the hell was that we smoked man?" Second question is, what time is it? And then they usually ask me what day it is? I never let em know when I pull out the secret space stash.. This is always most amusing though. And for some reason a few people have said not to do this to them again lol ... I like to take others on journeys while their expectation is innocent and if they like the journey I welcome them back for another sacred journey. But never would I smoke this one with someone who is down and out. Mindset is everything with her. Testing the herb like so really gives me more insight into how the plant at hand truly effects other people along with the shared effects that these psychedelic plants can bring in the sense of being entheogens . Space Lights pheno - Kaks Kreations "Wonder Wonder"
I'm already enjoying this ride! The reviews alone are mood elevating. Having had the pleasure of sampling some of Kak's Kreations, and knowing just how easy Kak makes it for even a novice gardener to provide for their own non-toxic medication...well let's just say it's gonna be fun. Yes KD The Pineapple Princess is a real gem. It is a shame that Tricloud is not around to offer this again. He has held this gem for some time and patiently I waited years to explore this side of his work..
Kak as usual found the traits he wanted in the C88/C99 (Pineapple Princess) and many others are enjoying this game changer and new path. It is going to get really interesting being that we never stop working on creating those perfect blends regardless of which way they lean.. This allows us to narrow down the equilibrium of it all while finding new mixes bringing forth ability to offer 3 types verses the normally found two types. Forgot to add this last night because I got HIGH! Back to the future for stoners as my good friend Stockton said when he saw this infinite grimm pattern surfacing..
Brothers grimm cindy and apollo family releases have always been a treasure trove for quick finishing indoor sativa dominant plants,some people even say the closest they have ever gotten to the holy grail. 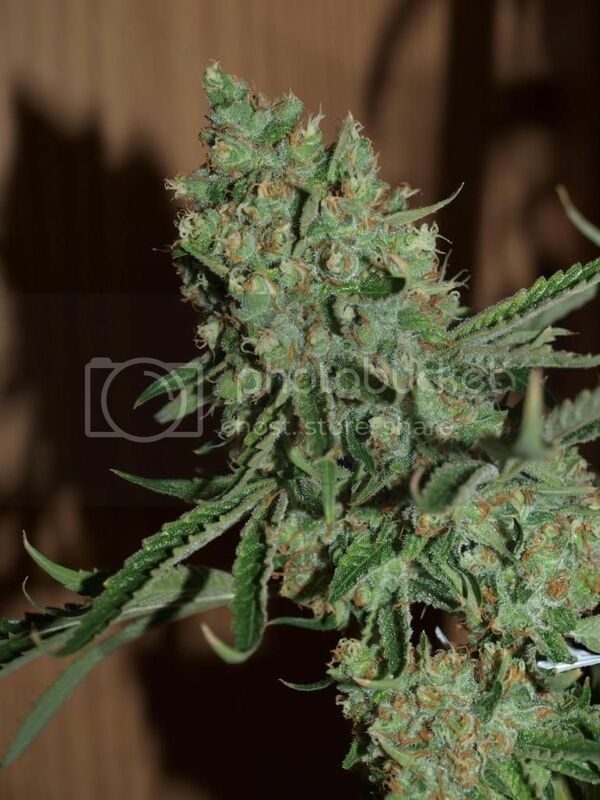 it seems like c99 has gotten alot of attention recently... and dont get me wrong, i love c99 for its big yeilds of zippy melony buds, but my real love is for the genius clone and her children a11 and a13. apollo 11 for me is much deeper, psychedelic,feminine, motivating mind fire... with beautiful frosty extraterrestrial buds, peach hairs, and the aroma of pineapple cheetos. 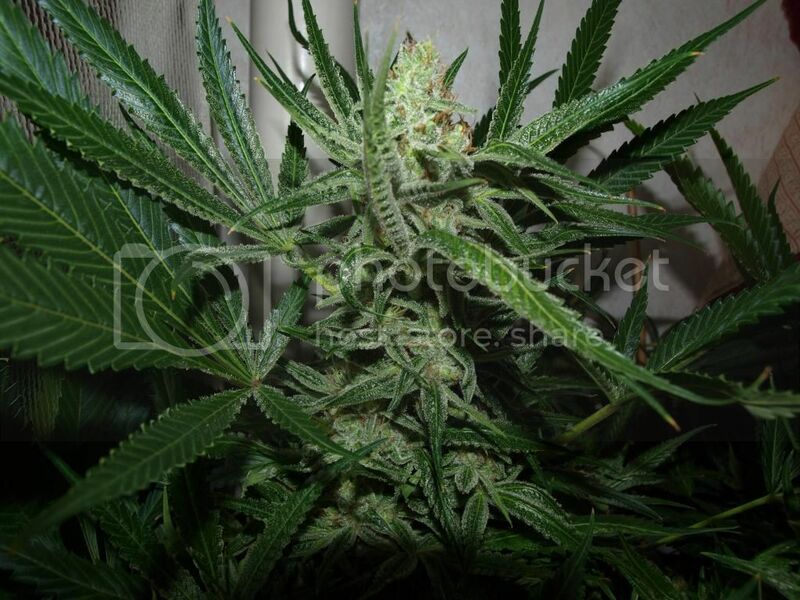 this release is my selection twords the genius pheno, from fet of spice brothers selection twords the g pheno, from a large population of original brothers grimm a11 stock. i made these originally for myself to cross into the genius and a13 clones, but its such an amazing plant ive decided to get these out asap, share the love, and hope you get as much enjoyment as i have from her. look for the more bushy g phenos, some with atypical branching, great for scrog, nice yeilds, extreme bag appeal, extreme mind appeal... beautiful stuff!!!! 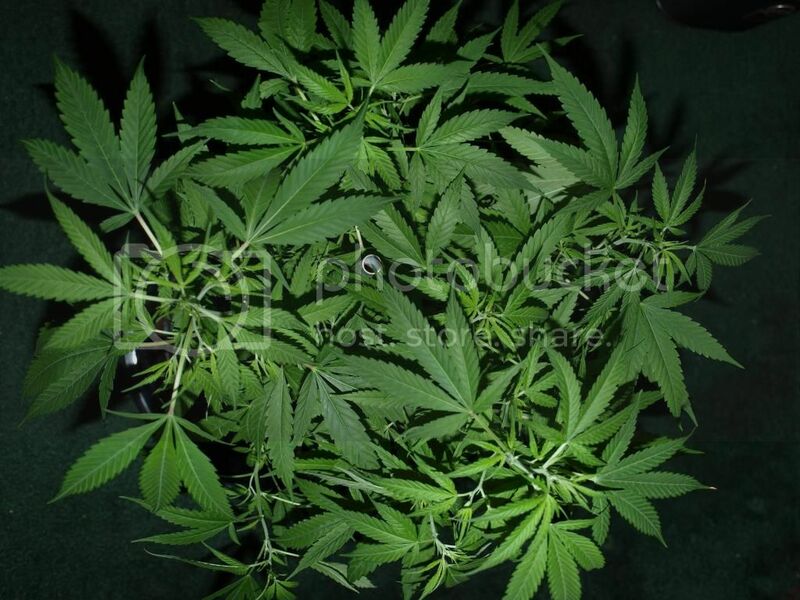 This indoor hybrid has a high calyx/leaf ratio & finishes flowering in 7 weeks or less. 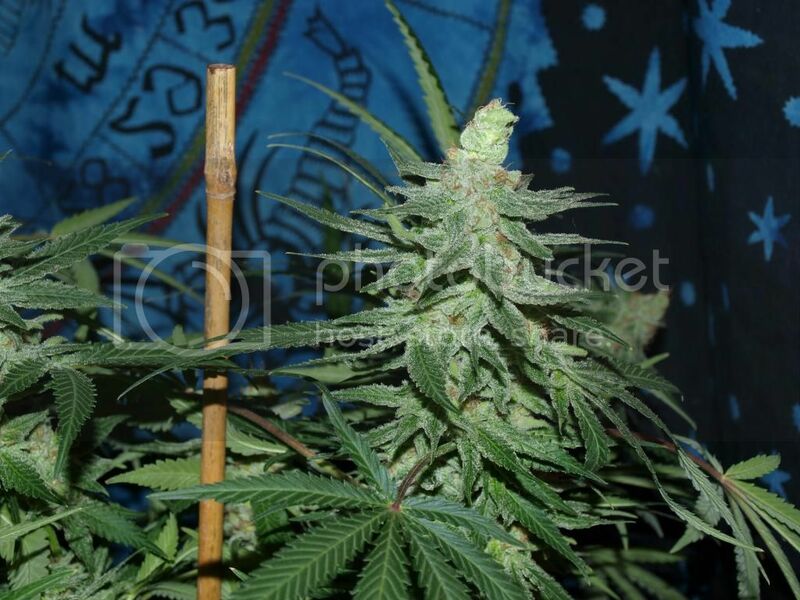 Our big-yielding, lemon-scented female clone named "Genius" because of her CLEAR, energetic, thought-provoking high was crossed with a robust Cinderella 99 male to create Apollo Eleven. Expect some variation among individuals. 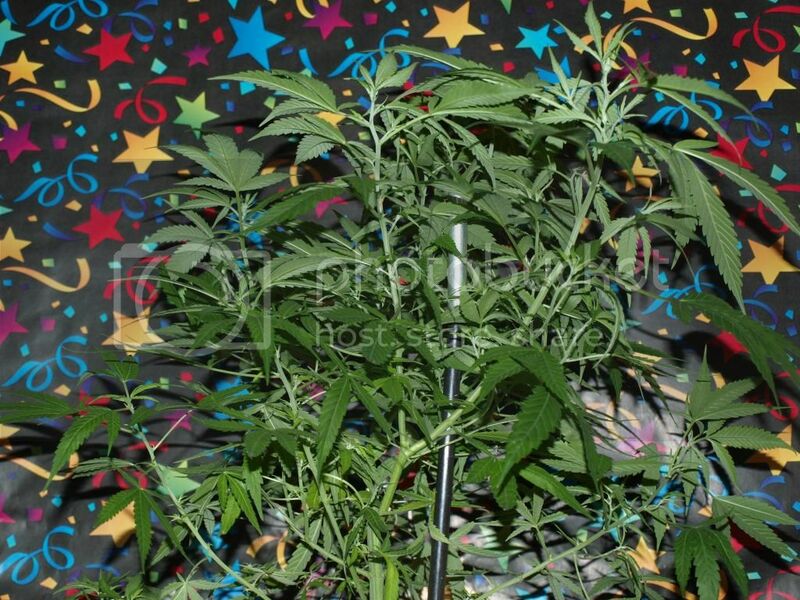 The best females are short, heavily branched plants with multitudes of dense, resinous bud sites - perfect for SCROG. The smoke has a sweet citrus flavour. The high is UP & HAPPY. Yield: 1-2 lbs per 1000W lamp. wow really interested in the Wonder Wonder! still around for the KAK lineup? The JCP x PP looks so familiar...gee, wonder why? Can hardly wait to post the finish pics when mine come up next week Thanks for the cool photos!!! I have some sats my friend and they are a favorite here of both the wife and I. Love the Thai and other Asian line along with the South Americans as well like that Haze that is often accredited to men - Mixed emotions here on this story though as these patterns of nature are often passed off as patterns of humans when they were just intercepted by chance and fate in the manner of bag seed, the germplasm that began it all one way or another long before the bag entered the equation. Glad to share, you see the resemblance aye ... The backcross is being tested that I made with mom and brother to this one shown above. Good times ahead and I am close to being done with the second round of my clones of JP. Love it I do and I am now off to smoke some thinking about this sweet child . Just finished up the second run with K- Kush today and the plant was huge again. 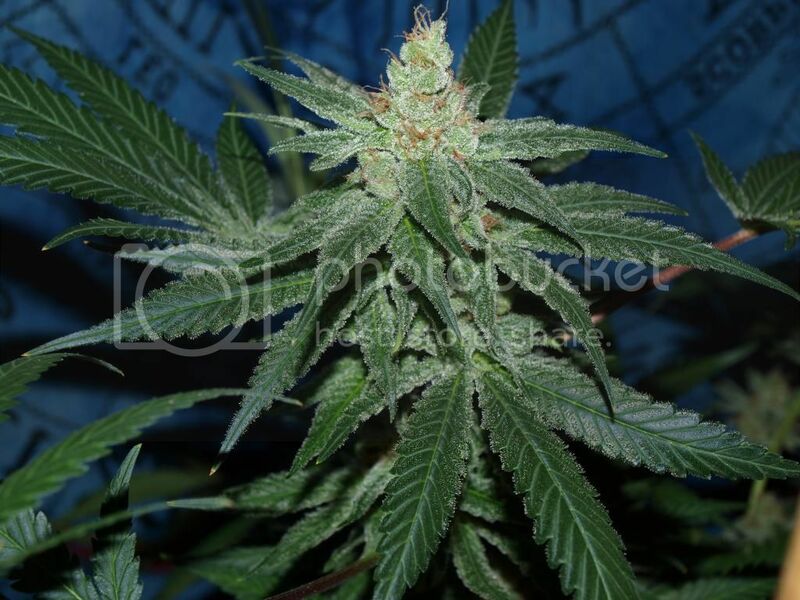 My top pick of 7 plants and 5 pheotypes and now this one is a solid clone here in the rotation for a while and I do think I should grow out the beans of this that I crossed with Fire OG Dom boy I am holding onto for a while as well. Jack In the Box f2 . This mix began here and here we are years later and I am still working it ahead into one seed population in due time. This was a test run of the F2 that I took into the F3 range while backcrossing the F2 into mom at the same time . I got this pack of beans from Kak,, told me he made em for me ,,, but would not tell me what was in em! Diesel Berry #4 She began her journey here as well at GP. This mix is all over the USA and Canada as well as into the UK and elsewhere. It became an Iconic Kreation and this is the mother I have had for years since the initial test Kak ran. 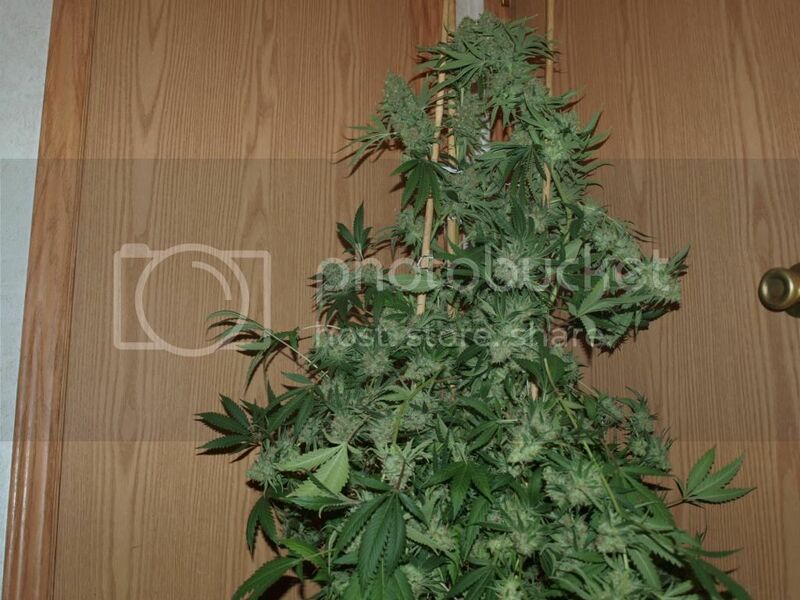 He gifted me this pheno after I sexed it for him due to his vision degrading. It was a double honor to say hehe And now this one will be the one to push this mix ahead in due time.